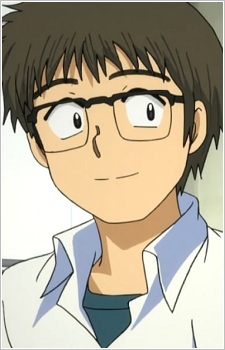 A bespectacled friend and classmate of Tsubaki. He and Oka have been dating for about a year, but try to keep it a secret from their classmates. Only Tsubaki and Urabe (and later Hayakawa) are aware of their relationship. He often fondly recounts to Tsubaki his experiences with Oka; Tsubaki in turn gets romantic ideas to use on Urabe from Ueno's stories. He also seems to possess a possessive style as he won't take Oka to the beach because other guys will see her in a bikini and jealous when other guys talk to her.